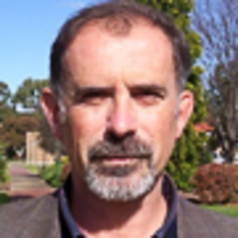 Edward Spence (Honors, First Class and PhD, University of Sydney) teaches philosophy and applied ethics in the School of Communication and Creative Industries, Charles Sturt University. He is Senior Research Fellow at the ARC Special Research Centre for Applied Philosophy and Public Ethics (CAPPE) in Australia, and Research Fellow at the 3TU.Centre for Ethics and Technology, Den Hague, Netherlands, and Research Affiliate, in the Department of Philosophy, University of Sydney. He is the author of several books including Advertising Ethics (2005), Corruption and Anti-Corruption: A Philosophical Approach (2005), Ethics Within Reason: A Neo-Gewirthian Approach (2006), Media, Markets and Morals (Wiley-Blackwell, 2011) and The Good Life in a Technological Age (an edited volume with Philip Brey and Adam Briggle, Routlege, 2012), Digital Ethics in the New Era (Wiley-Blackwell, in press), and Media Corruption in the Information Age (Springer, forthcoming) . He is also the author of numerous refereed papers in national and international journals, including media and new media ethics, and the metaphysics and ethics of information and technology. He is the founder and producer of the Theatre of Philosophy project whose aim is the introduction of philosophy to the general public through drama and audience participation through discussion. Several of Edward’s philosophy plays have been performed at Arts and Cultural Festivals throughout Australia. His philosophy play, Wise after the Fact, was performed for the Greek Festival of Sydney in 2011.